Most individuals love summer since they can get outside to have some fun with their family members. During summer, it is always warmer outside, the sky shines brighter and the days are longer. This makes it a perfect time for a great trip to the playgrounds. A playground not only provides children with much-needed fun, but it is also excellent for kids since it offers various developmental benefits. Children are born listeners, attuned to the sounds while in the womb as well as the world. Before their clear vision sets in, children understand their environment through sounds, including parent’s lullabies, water in the bathtub, a dog barking and if they are lucky enough, the pulsing rhythms of music. A landscape of sound, smell and touch are the kid’s first teachers. When experts talk about soundscapes, they mean more than just songs. This refers to the overall presence of different sounds in your playground including the unintentional and intentional noise, your voice giving directions, music, pencil tapping, a PA system, and even an annoying radiator. Here are some of the benefits of soundscapes in children’s learning. Playgrounds help children build their self-confidence. Children, who can walk up rope ladders, navigate climbing walls and venture out on wiggling rope bridges overcome their fears of these structures and gain access in mastering them. According to playground experts, soundscapes and the sense of accomplishment lead to self-confidence as well as the increase in self-esteem which enhances learning. Also, some equipment such as enclosed spaces and tunnels encourage imaginative play where your child can experiment with expressing various emotions and understanding or learning about life possibilities. 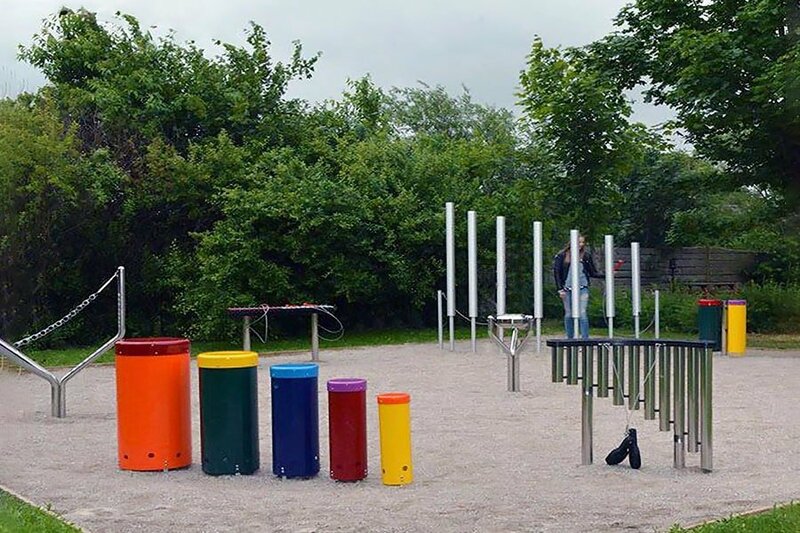 Soundscapes and other playground equipment help your children’s brain development as they understand and learn about the environment through sensory experiences and motor activities. According to health experts, brain development during the first six years of your kid’s life is essential, and most kids exercise their sound, motor, and sensory skills by utilizing soundscapes and other playground equipment. Activities such as swinging, jumping, racing, and climbing are all ways of practicing gross motor skills. Playground equipment helps and gets your children moving while having fun at the same time. Things such as slides offer climbing exercise for your kid’s legs. The Jungle gyms help strengthens arms, shoulders and also the legs. Also, all the equipment in the playground encourages kids to run from one piece to the other providing them with a heart-healthy exercise as well as a dose of cardiovascular. Most of the social learning activities happen on the playground since it is the unstructured time that children have to play and interact with their peers. By playing, your kid will develop excellent communication and negotiating skills as well as following rules. When you visit these places, you should encourage your kid to be creative, interact with peers and try new things. You can now agree that playgrounds not only provide the much-needed fun, but they help your children to learn. T.F. Harper & Associates LP offers full-service construction contracting as well as parks and playground equipment and installation. Quality is our objective, and we've got the reputation to back it up. © 2019 T.F. Harper & Associates LP.